Hopes of freedom for the 219 Chibok girls have been rekindled, with preliminary talks between the Presidency and some Boko Haram leaders. The new deal is being brokered by some confidants of the Presidency and the sect. Some key commanders of Boko Haram in detention are also eager to be part of the initiative, The Nation learnt. The new understanding came amid security reports that about 500 insurgents in a neighboring country are interested in renouncing terrorism – in line with the reconciliatory agenda of President Muhammadu Buhari. But the President is being cautious in rushing at the new offer from some leaders of the sect to avoid what a source described as the “costly mistakes of the past administration of ex-President Goodluck Jonathan. Buhari has asked security agents to “screen or certify” those spearheading the new negotiation to ensure that the government is dealing with the right Boko Haram leaders. Some Boko Haram leaders are believed to have been overwhelmed by the President ‘s olive branch. It was learnt that the President’s reconciliatory agenda made some confidants of the sect to initiate a fresh negotiation between the Presidency and some Boko Haram leaders. It was gathered that at the preliminary level, a “cautious understanding” has been struck by both parties. commitment of the Buhari administration to the negotiation. A source, who spoke in confidence, said: “The President’s appeal for peace in the Northeast is yielding dividends because a fresh facilitation of talks between the Presidency and Boko Haram has started. “This latest negotiation, which is at the preliminary stage, is being promoted by some mutual confidants of the Presidency and Boko Haram. Responding to a question, the source added: “The President is extremely cautious on this offer of negotiation. “ Buhari has ordered security agencies to screen or certify those Boko Haram commanders interested in facilitating this latest negotiation to ensure that they are bonafide leaders of the sect. “The position of the President is that why he is not averse to a peace deal, the Federal Government must avoid the costly mistakes of the past which led to a waste of time and huge resources. But there are strong indications that the leader of the sect, Imam Abubakar Shekau, is yet to be involved in the new deal. “I think we are still at the preliminary stage. At the right time, there is a way the negotiation offer will be forwarded to their leader. “But the fact that some Boko Haram commanders, whom US placed ransom upon, might be part of the negotiation shows that the crisis can be resolved, if all hands are on deck, “ another source added. The defunct Joint Task Force(JTF) in the Northeast on November 23, 2012 placed ransom on 19 leaders of Boko Haram. 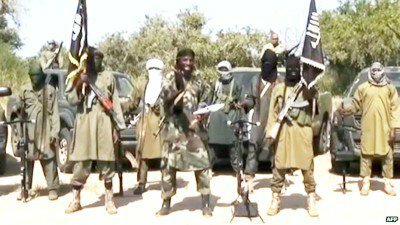 The list had comprised five members of the Shurra Committee (the highest making body of the sect) and 14 Boko Haram commanders. But one of the Shurra Committee members, Mohammed Zangina (a.k.a Mallam Abdullahi/Alh. Musa) was allegedly killed in a shoot-out with the Joint Task Force(JTF) in Maiduguri. With Zangina out, those still wanted are four members of the Shurra Committee of the sect, Imam Abubakar Shekau (N50million); Habibu Yusuf (a.k.a Asalafi) N25million; Khalid Albarnawai (N25million); and Momodu Bama (N25 million). The fate of Momodu Bama was also unknown as at press time, following conflicting reports on whether he is alive or dead. The Boko Haram Commanders being sought for by the JTF are Abu Saad (N10million); Abba Kaka (N10million); Abdulmalik Bama (N10million) Umar Fulata(N10million); Alhaji Mustapha (Massa) Ibrahim (N10million); Abubakar Suleiman-Habu (a.k.a Khalid) N10million; Hassan Jazair N10million; Ali Jalingo (N10million); Alhaji Musa Modu (N10million); Bashir Aketa (N10million); Abba Goroma (N10million); Ibrahim Bashir (N10million); Abubakar Zakariya (N10million); and Tukur Ahmed Mohammed (N10million). Buhari’s “peace agenda” has motivated 500 Boko Haram members in a neighboring country to signify interest in renouncing terrorism. A third source said: “These 500 insurgents said they were specifically encouraged by the rapprochement of the President.